The following schedule is in effect on and after January 1, 2011, for plan review, construction related matters, and permits issued by the Village of Chenequa. Any and all construction, remodeling or replacement work done before a permit is issued will result in a stop order being issued and penalties as outlined in the Chenequa village code. The Registration process for new home construction only. 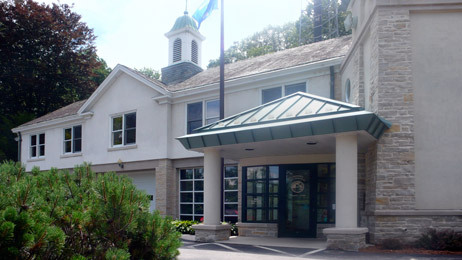 The Building Inspector is available at the Village Hall Tuesdays and Thursdays from 2:30 pm – 3:30 pm. The Building Inspector may be reached other times at SAFEbuilt at (262) 894-2640. Plans for construction are reviewed by the Plan Commission, which normally meets on the 2nd Monday of each month. Plans for consideration must be submitted by the 15th day of the month prior to the Plan Commission meeting. Packets regarding building permit requirements are available at the Village Hall. SAFEbuilt has a website to make it easier for residents, contractors and municipalities to interact with their building inspection service provider. The website has interactive areas to make contact via email, receive permit forms, request inspections, or to learn about our business day or night. All inspections must be scheduled by 4pm for next business day inspections.